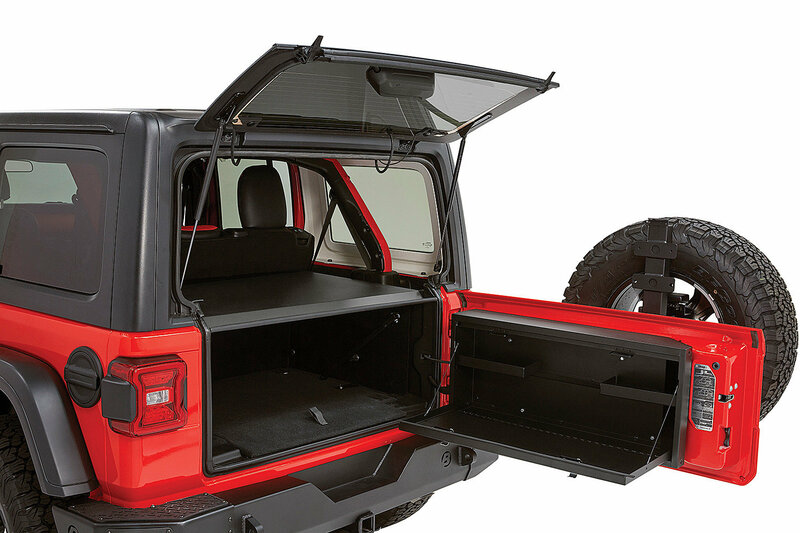 There is no such thing as having too much storage for the Wrangler JL. The Tailgate Lock Box from Tuffy Products fills the need of added storage, and can provide a handy work station or cooking center while out on an off road adventure. 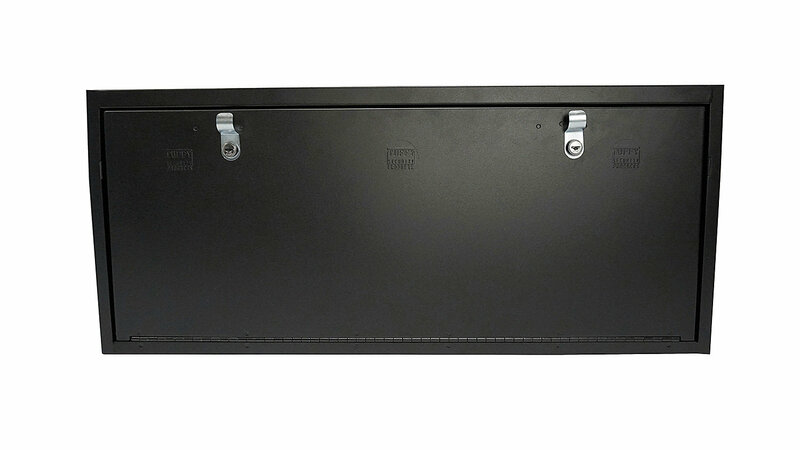 This tailgate lock box is made from heavy duty 16-gauge steel and finished with a textured black powder coated finish. 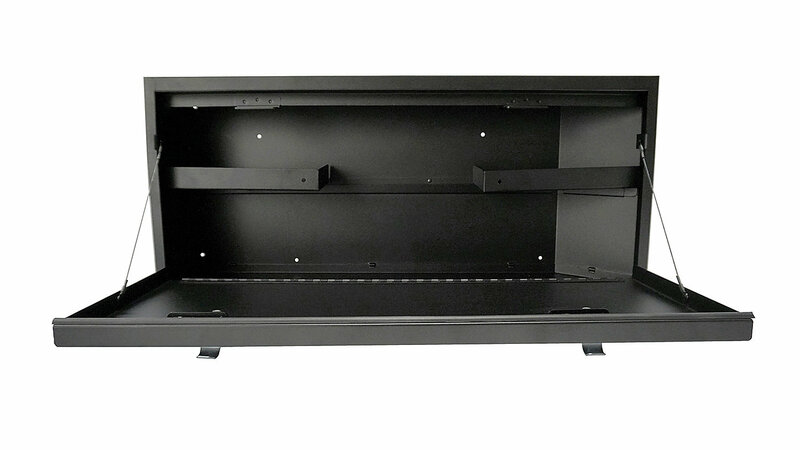 This unit mounts easily to the inside of the Wrangler JL's tailgate with minor drilling. All mounting hardware is included for the installation. 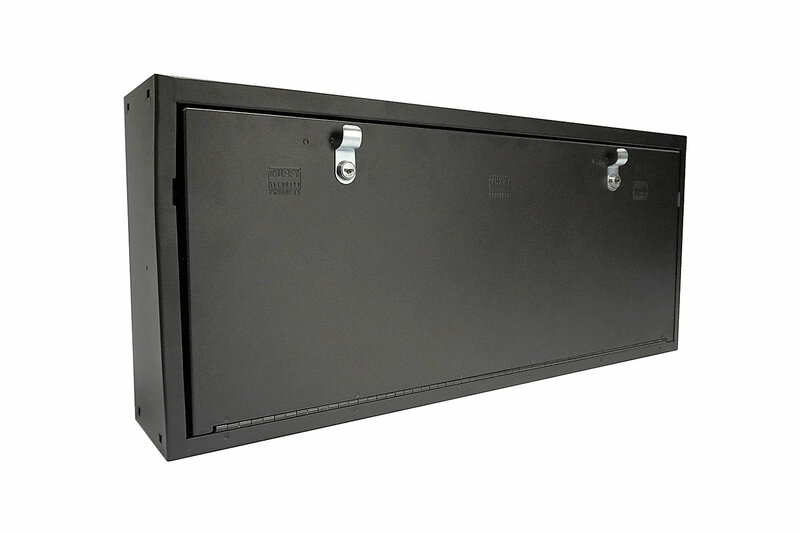 Once installed, the lock box adds up to 2700 cubic inches of storage space for essential trail gear to be safely secured. For use as a table, the lid can support up to 40 lbs. for cooking or to be used as a workstation. 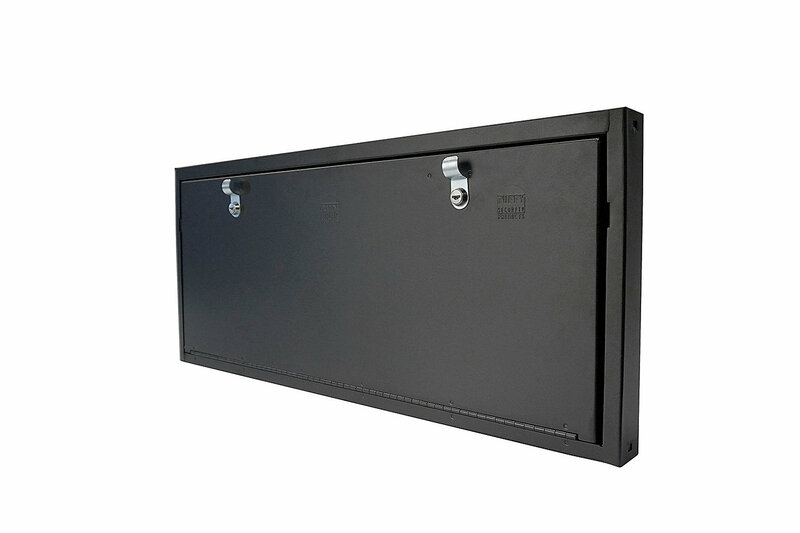 The pry guard lid features 1/8" thick welded steel pieces and features Tuffy's 10-tumbler double bitted security lock system which keeps the box secure. Works with Soft Tops of Hard Top model Wrangler JL vehicles. 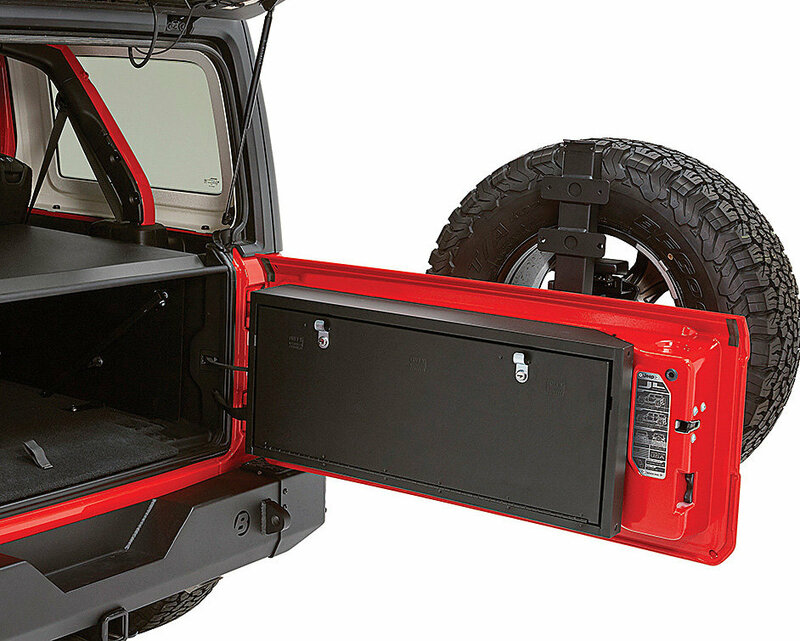 Durable Storage: The Tailgate Lock Box installs easily to the Wrangler JL tailgate to add much needed and secure storage for essential gear or tools. 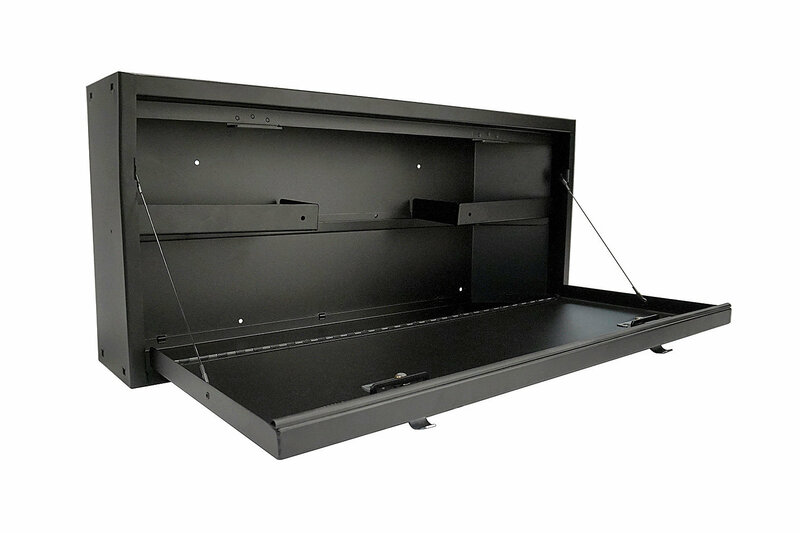 The heavy duty 16-gauge welded steel construction, pry-guard lid and lock system will ensure that your items will be secure. Instant Workstation: The lid of the Tailgate Lock Box folds down to create a workstation for repairs, or cooking while out on the trail or back at camp. The lid can support up to 40 lbs. when folded down. 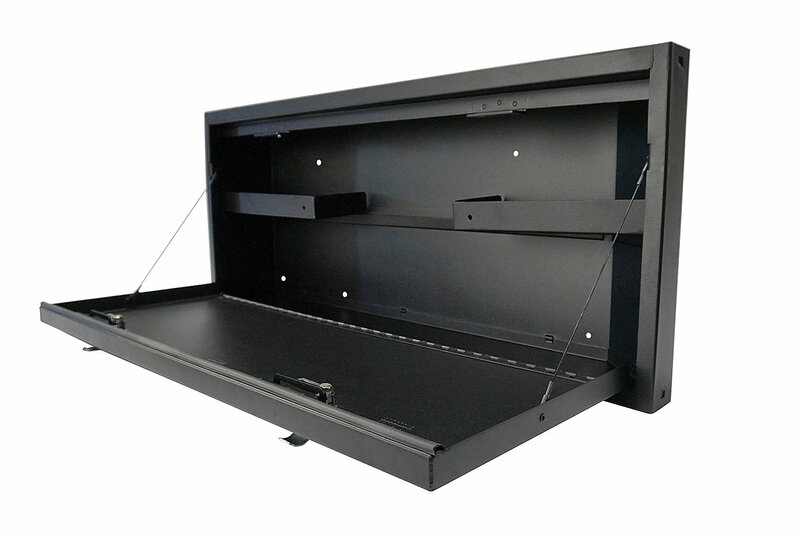 Easy Installation: The Lock Box installs to the inside of the Wrangler JL tailgate to factory mounting points with minor drilling required for the installation. All necessary hardware is included. Seems to be pretty good so far. The little shelves that go in there are not secured very well. Some off-roading and things bouncing around in there, knocked the shelves lose. I've tried to pack it right so all is fairly tight. The mounting holes for the box were off just a bit, so once mounted, the box was not level with the door/floor, so I had to make a slight adjustment. Works with Tuffy rear cargo cover. Install in a few minutes, very easy and nice product. was a little upset that there were no drain holes, but i will put a few in myself since we have the windows off and top down a lot. Look at my unboxing and install video on Youtube under Wrangler JL Tuffy 346-01 tailgate lock box install. Strong, holds computer bags easily, 20 minutes to fit, clear instructions. When used as table, fits a two-burner Coleman stove well. Doesn't rattle or squeak, well made.